This is a good natural "Sungai Dare", already set on a smooth 22mm stainless ring. 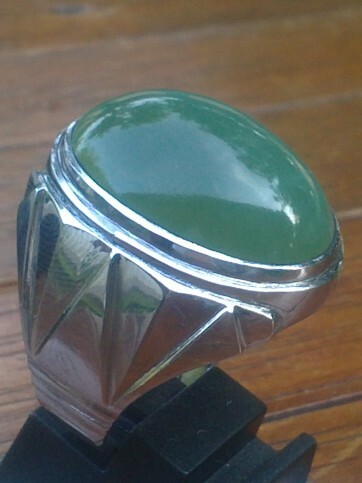 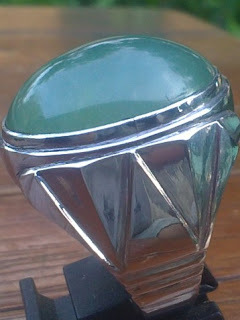 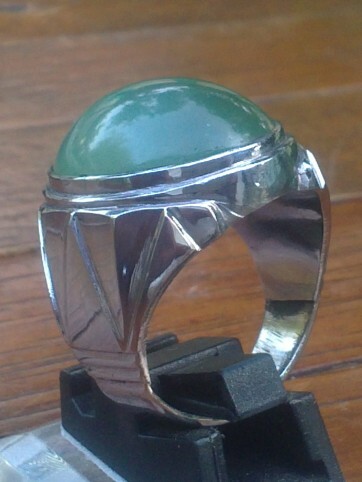 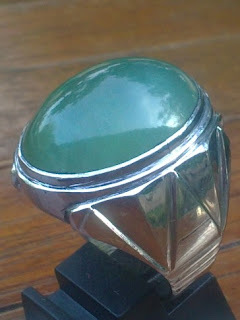 This kind of gemstone is origin Sumatra, usually called as "Sumatran Jade". 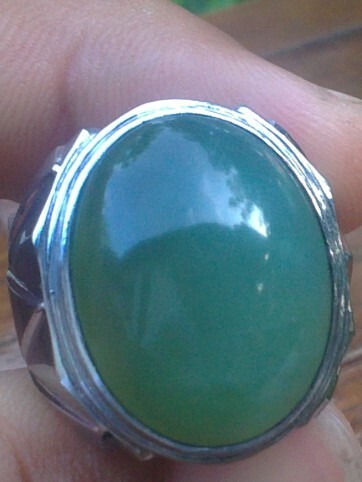 The size of the gems is (est) 23mm x 17,5mm x 8mm. A good Sumatran Jade! Natural "Batu Sungai Dare"!